The Vietnamese PM made the remark on September 11 while receiving Gilbert Kaplan, Under Secretary of Commerce for International Trade of the US Department of Commerce, who is in Vietnam to attend the 2018 US-Vietnam Business Summit. Lauding the US’s initiatives and efforts to promote regional cooperation and connection, PM Phuc affirmed that the US is among leading partners of Vietnam and expressed his hope to further promote the comprehensive partnership with the US. 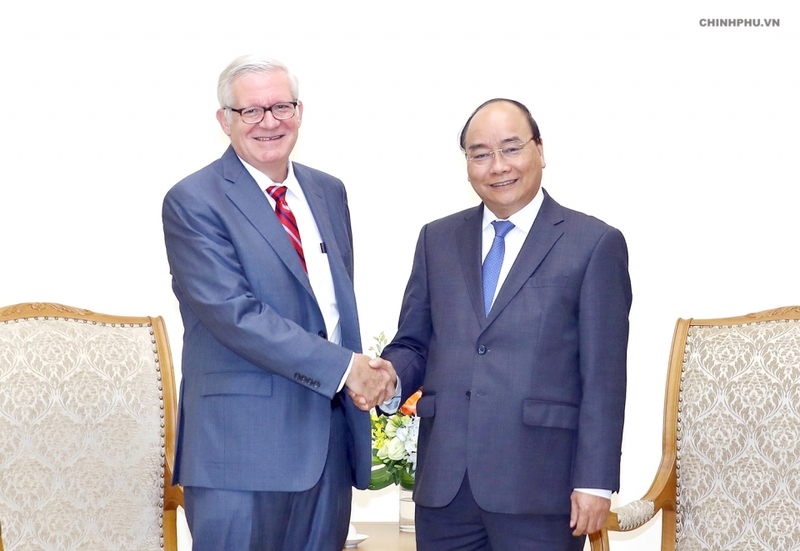 Prime Minister Nguyen Xuan Phuc received US Under Secretary of Commerce Gilbert Kaplan in Ha Noi on September 11. The Vietnamese PM said the visit of the US Under Secretary of Commerce has opened a new space for bilateral ties, especially in trade. In the first six months of 2018, exports of the US to Vietnam surged more than 20 percent year-on-year, and Vietnam has inked major contracts to purchase goods from the US. Vietnam will continue with its reform policy and international integration, as well as improve business climate, creating optimal conditions for foreign firms, including those from the US, Phuc said. He expressed his delight as many major corporation of the US have been present at Vietnam, adding that the World Economic Forum on ASEAN (WEF ASEAN) hosted by Vietnam offers a chance for US businesses to study opportunities for investment and business in the country. The PM also voiced his hope for balanced trade with the US in the coming time. For his part, Under Secretary of Commerce Gilbert Kaplan agreed with his host that the bilateral relations have been thriving in many fields. He said his visit aims to affirm the US’s commitment to bolstering cooperation with Vietnam, and also to discuss measures to enhance bilateral trade and investment. The official added that his working sessions with Vietnamese ministries and departments during the visit had made good progress.